If you could design your dream window, what would it be? Serious Windows' highest-performing windows are casement, not in-swing, which means they open outwards with a little crank at the base. This is mechanically inefficient, and it also limits the size of windows they can sell. We have some gloriously big south-facing windows in our dining area, and we don't want to make them smaller. Also, their best SHGC is 0.42, which is not as good as the standard Passivhaus windows from Europe. Canadian companies Accurate-Dorwin and Thermotech Fiberglass didn't sell in-swing windows last time I checked. My main complaint about out-swing windows is that the screen is inside the window, which I simply don't like. And yes, I know about retractable window screens, but I'm still not jazzed about opening a heavy triple-paned window with a crank. Inline Fiberglass makes a tilt-turn frame, but they still aren't big enough for our front windows. They offered to sell us a modified doorframe full of glass, but c'mon! Also, their best windows use Serious glass, which has slightly lower SHGC and VT than the European glass. I could list a few more North American vendors, but they are mostly using Inline frames and Serious glass, whose shortcomings I listed above. 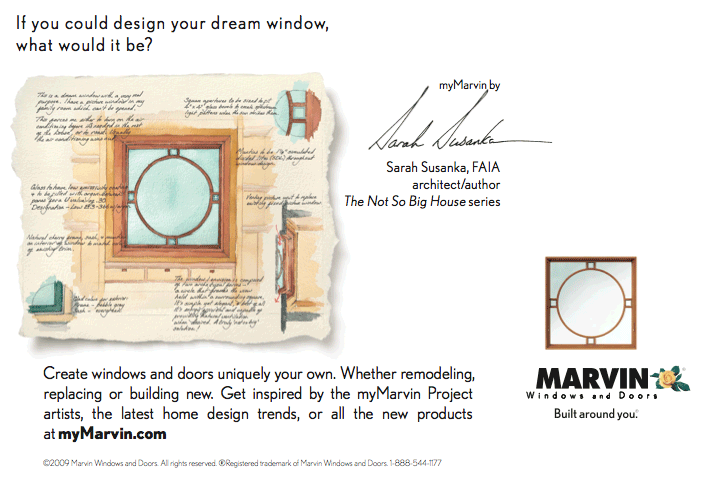 And you'll notice I didn't mention the big-name American manufacturers -- as far as I know, Marvin, Pella, and Andersen aren't even trying to build Passivhaus-worthy windows. Ted and I are therefore likely to order windows from Europe. If money were no object we'd want something like Optiwin's Passivhaus-certified three-wood window, but sadly we are on a budget, and ever-plummeting dollar doesn't help. But the high-end American windows I listed above aren't cheap either, and there's enough variety and competition in Europe, particularly from the former Eastern bloc, that we can get something good for an acceptable price. We haven't made our final decision yet, but we're likely either to get German windows manufactured in Slovakia or Polish-made windows. We rejected some Lithuanian windows, not because we have anything against Baltic states but simply because the importer is based in DC and we want to work with someone more local. If we're handing someone a five-figure check just to place the order, we want to be able to drive over and hassle them from time to time. We're still waiting on a couple more estimates, but once we make our decision I'll post all sorts of titillating window specs and diagrams for your perusal. Re: If you could design your dream window, what would it be? One minor nit: the problem with windows that swing out with a crank isn't just that the crank is inefficient or that the screens are inside, although these certainly are problems. The problem is that cranking systems don't last. My parents' house has outswing windows on cranks, and several of them don't open anymore because the cranks wore out. Replacing the cranks is possible, but nontrivial. Inswing windows are mechanically much simpler--all you need is a latch. Passivhaus windows actually have an additional mechanism to pull the entire window evenly against the seal--essentially, they have at least one latching mechanism on each edge of the window, and when you latch the window, this mechanism puts pressure on the seal--it doesn't just stop the window from opening. The user of the window sees this as a door-sized handle on one edge of the window; when you turn the handle, a simple (strong) mechanical linkage inside the window operates all four latches. This is probably *more* complicated than the crank, but the good news is that there are no gears, and the gears are the thing that usually fails in cranks. Still, I will be interested to see how these mechanisms age. It's quite possible that the Serious Windows cranks are a lot more sturdy than the ones at my parents' house. We haven't examined them in detail, because we don't like outward-swinging windows for the reasons that Andrea stated. So don't take this as a reason not to buy Serious Windows if you otherwise like them. I'm just explaining some of the reasoning behind my personal resistance to using outward-swinging windows. Many very ordinary double-glazed windows in the UK have a locking/latching mechanism which operates in approximately the way you describe: by (e.g.) lifting the handle, the latches engage all around the window and seal it more perfectly along all four sides (and if there is a lock then all the latches lock into place). If, say, there is noisy traffic outside, you can tell the difference in sound transmission. I've had (cheap and otherwise rubbishy) doors and windows like that for many years and that feature generally gives no problems. Definitely! High SHGC would have been pretty dreadful in Tucson, and it's probably a bad idea on a western exposure even in a cold climate. When you get prices and info on these windows please share...I am hunting down passive house windows and am trying to get real world costs on the imports. We haven't placed our order yet, but the least expensive Passivhaus-certified windows we've found so far are Schuco uPVC windows from European Architectural Supply. I'll tell you more about prices once we've finalized our order, and assuming our supplier doesn't mind if we publish what we paid.